We're thrilled to announce the ship of our final major release of 2015! Below you'll find all the top features and enhancements. Official release of our Web API Edition! 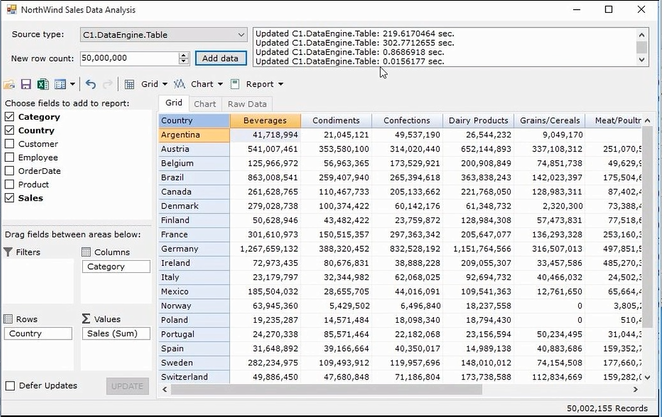 Generate an Excel file from a .NET collection, data table, data view, XML, or JSON data. Convert between different formats including Excel, JSON, CSV, and XML documents. For instance, you can post an Excel file to get an XML document. Merge multiple Excel files to create a single file and keep formulas and styles intact. Generate a barcode image stream on the fly by passing text and code type through the API. The barcode stream can be added to any business document, and all major barcode types and QR codes are supported. Date Validation in InputDate and Calendar: The Calendar and InputDate controls now support date validation. These controls provide an itemValidator property that accepts a date validation function. If a date is found invalid, it can be selected in the calendar or typed in the InputDate field. Data Binding in InputTime: InputTime now supports data binding, which can support custom time cases—for instance, to make certain hours of the day unavailable for appointments. Context Menu support in Menu: Context menus appear upon user interaction—typically a right-click—and display commands that apply to the current object. The menu’s Owner property establishes whether it’s a context menu for an existing object, or whether it’s a menu on the page. New AddBookmark method allows users to add bookmarks within a PDF. New support for PDF/A-2B format for exporting reports and documents. HideFirstDelimiter property hides the delimiter for the first visible command link even when the delimiter propery is set to true. Successors property for the task class returns a list of tasks that should be finished before starting the specified task. Indicator can show that a task is completed. ChartStartDate and ChartFinishDate properties can bound the scrolling area in chart view. Default values depend on start and finish dates of tasks and project. User can assign nulls to reset dates to automatic values. User can assign separately ChartStartDate or ChartFinishDate to bound scrolling area manually from left or from right side, or both together, so that users can limit the time interval. User can select and make simultaneous changes in multiple rows and columns. Users can now split a task into parts. User can drag a task to another row. MaxDropDownItems property sets the maximum number of items displayed in the drop-down list without scrolling. GripHandleVisible property sets whether the drop-down list can be resized. New overload for Chart.ShowProperties() method allows users to specify the properties dialog location and size, and returns the final size and location. New overload for Chart.ShowVisualEffectsEditor() method allows users to specify the VisualEffects Editor dialog location and returns the final size and location. C1TopicBar now has keyboard support. You can now hide the “Customize” option in the “Add or Remove Buttons” menu. C1CommandHolder.SkipDisableMenuItems property gets or sets a value indicating whether the user can give focus to the CommandLink using keys when the Command is disabled. C1TopicBar.LinkStyle property sets the style of links on pages. HideAppMenuWithTHR boolean property addresses a compatibility issues when (in some old builds) the AppMenu button did not appear, but remained visible logically, while the tab header row is hidden. LauncherEnabled boolean property in RibbonGroup sets whether the dialog launcher button is enabled. The size of the Collection Editor forms will no longer reset to the default size until closing Visual Studio. System VisualStyle has been updated for a more modern appearance. BREAKING CHANGE: WinXP visual styles, including Office 2003 palettes and other items, have been removed. See release history for more details. Performance has been improved when assigning new data in unbound mode with Frame.AddRows(count) method. SmallVisualIntervalScale property allows user to set time scale for different views with single property without re-templating control or using custom code at changing Scheduler views. Supports drop-down to show collection column.